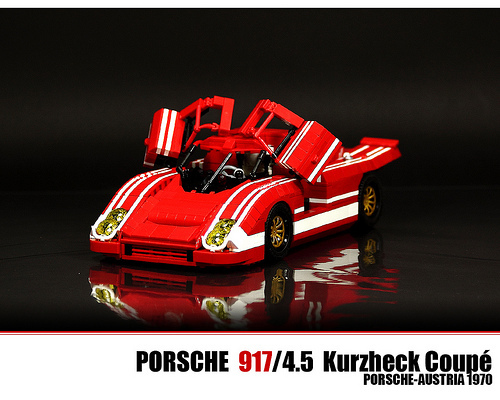 The Porsche 917’s sweeping curves and smooth shape make it particularly challenging to translate into Lego, but Malte Dorowski has managed to accomplish it quite admirably, using some clever techniques and a great deal of skill. He has even managed to work in an opening engine compartment and functioning doors, and his presentation does his creation justice. Be sure to also check out his beautiful Porsche 911 GT1.